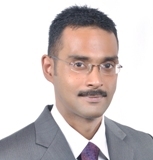 Arindam is a corporate and commercial lawyer focusing on the Corporate Finance Practice at ALMT Legal. He graduated from the prestigious National Law School of India University in 2006 with a Bachelor's Degree and Honours in Law. He joined the Bar in the year 2007 enrolling with the Bar Council of West Bengal. He has been with the Firm’s Bangalore office since 2009. Arindam’s core practice areas consist of private equity and venture capital investments, joint ventures, as well as mergers and acquisitions. He has acted for numerous domestic and international clients, including private equity funds, venture capital investors and major business groups looking to establish or expand their Indian and international footprints. He has been regularly advising the Firm’s clients on legal structures and documentation, regulatory issues relating to foreign direct investments as well as outbound investments, establishment of joint ventures, mergers and acquisitions. He also advises the Firm’s clients on their commercial contracts. Arindam has advised and assisted clients operating across a broad spectrum of sectors, including sports, food and hospitality, financial services, pharmaceutical, defence, technology, real estate, healthcare, media and entertainment, infrastructure and education. In addition to the corporate finance practice, Arindam also regularly advises and mentors startup enterprises and their founders with respect to their unique legal issues and compliances. Arindam’s close attention to the clients’ specific legal and commercial needs, as well his ability to respond rapidly and accurately to the requirements of clients, have often been appreciated. In his spare time, Arindam likes to indulge in his passion for automobiles. In addition to regularly undertaking road trips whenever time permits, he is a close follower of motorsports. He is also an avid lover of music, across genres as eclectic and diverse as Indian classical and folk music, and western country and blues music.